The Taoiseach, Bertie Ahern, has said he does not know who the members of the IRA army council are. Mr Ahern was speaking in Co Meath today. 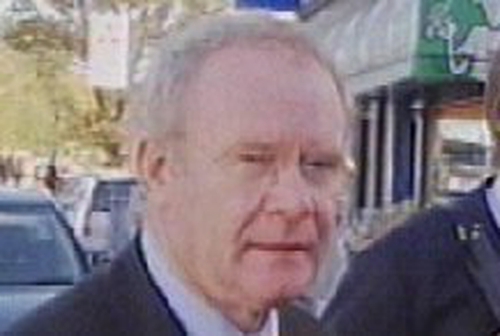 His comments follow claims by the Minister for Justice, Michael McDowell, that Sinn Féin leaders Martin McGuinness, Gerry Adams and Martin Ferris are members of the army council. Sinn Féin's Chief Negotiator, Martin McGuinness, has rejected these claims. Speaking on RTÉ's This Week programme, Mr McGuinness said the minister’s remarks were politically motivated and an attempt to criminalise Sinn Féin. Earlier, Mr McDowell accused the men of being members of the council while taking part in a radio debate on Today FM. He said there were seven members of the council and that the IRA was increasingly trying to get involved in legitimate businesses, especially the communications industry. Meanwhile, the Minister for Foreign Affairs, Dermot Ahern, said that Sinn Féin has to recognise that provisional criminality lies at the root of the current crisis in the peace process. Mr Ahern insisted that robbery and money laundering have no place in Irish society. 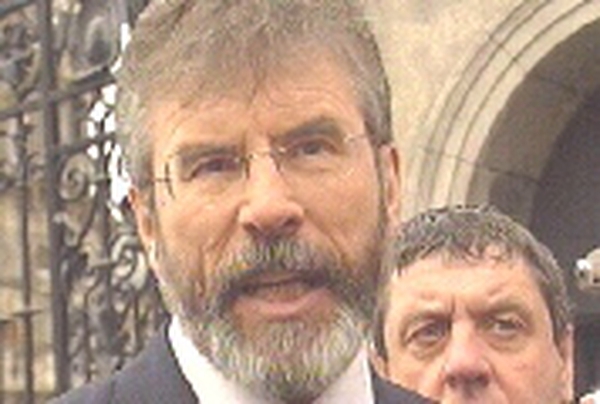 In a statement, he warned that Sinn Féin had to assume its full responsibility to resolve the situation before the Government and others can respond.